Looking for the Perfect Corporate Giveaway? Established in 1996, Tourbillon Co. Ltd. specializes in the manufacturing, the distribution and the export of corporate gift items in a wide range of leather products, pens, watches, umbrellas and housewares. For all those who are looking for the appropriate corporate give-away, Tourbillon Co., Ltd. offers creative ideas and packaging to make the selected gift attractive and personalized to enhance your company's image. Several blue-chip companies such as Diners Club, Citibank, ABB, The Mall Group, Big C and the Bank of Thailand have already entrusted Tourbillon to provide them with their perfect corporate gifts. Moreover, Tourbillon can now be accessed through the internet, by simply connecting to http://www.bangkokgift.net Looking for a corporate give-away? The answer is at your fingertips. Tourbillon's web site enables all internet viewers to get general information about the products available. Questions, comments and inquiries for complementary information can also be e-mailed directly. 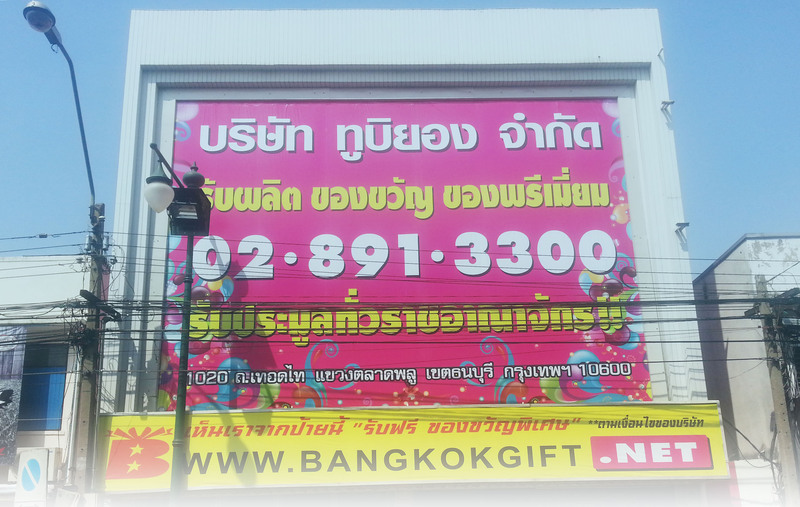 Established in 1993 BangkokGift.net is undoubtedly Thailand’s leading and best known supplier of promotional merchandise. From our base in Bangkok and with our experienced team of over 30 employees we supports and advise customers on all aspects of selecting and procuring the right gift for the right occasion. Securing customer loyalty and maintaining a professional outlook is key to the successful future of any business and BangkoGift.net offers a vast range of top quality personalized gifts, corporate clothing and fashion wear. We can print, embroider, or engrave a multitude of products at very competitive prices incorporating top brands such as, Cacharel, Cerruti 1881, Nina Ricci, Ungaro, Jean-Louis Scherrer and Chrles Jourdan. We take pride in the knowledge and experience we have in the promotional gifts industry and have long standing relationships with our Clients. Taking into consideration factors such as your business sector, your corporate message, and the application of gift you may wish to select, our experienced sales team will guide you and help you make the right choices. Our external Account Managers too are always on hand if you need assistance. Our graphic artists will ensure that the integrity of your company’s corporate identity is maintained when transferred onto your chosen product. We work closely helping you to crystallize your design ideas and producing quality visuals for your consideration. 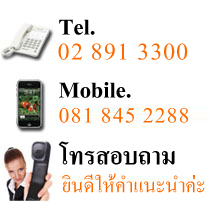 BangkokGift.net has the resources to supply virtually any type of promotional item printed with your company details. Using the latest marking equipment our in-house print team can work to the tightest of deadlines and ensure vigilant quality control over the print process. To provide the best quality and price BangkokGift.net is proudly associated with leading manufacturers of extensive pallet of corporate items ranging from Umbrellas, Silk-Box to Stationary Items, Key Chain, Pen, Clocks, Watches as well as a wide range of clothing based Gifts such as Shirts, Hats, Towels just to mention a few. Our team consists of unique individuals, each with years of experience in his or her particular discipline and with this much expertise we can accomplish a great deal as we share a common goal and our goal is to design and produce the best professional Corporate Gifts possible with outstanding quality at our client’s affordable budget. With your input and our efforts we have a winning combination. We look forward to continuing the development of Corporate Gifts required from you - our valued Customers.